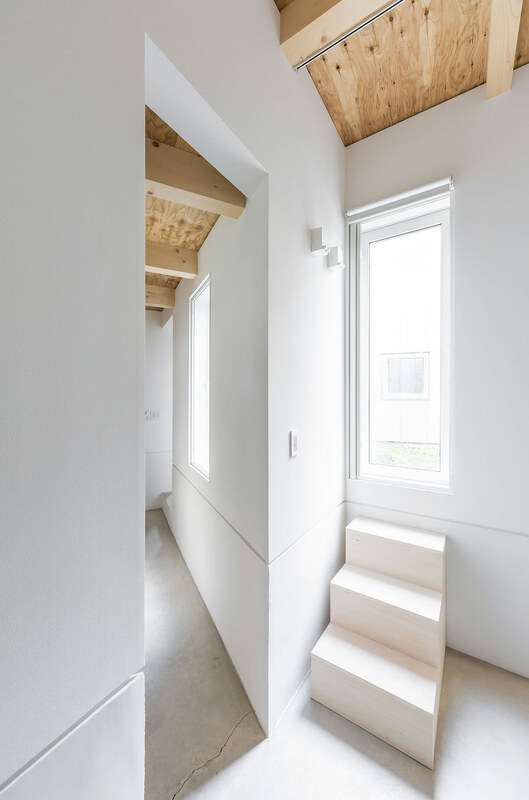 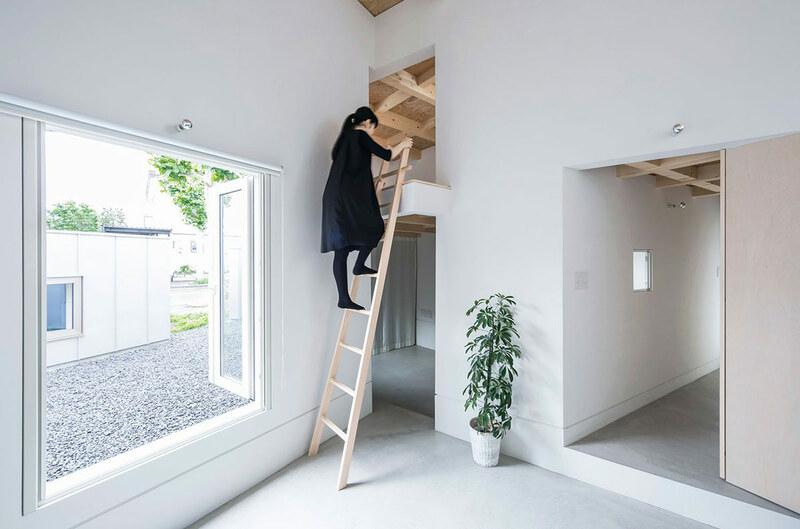 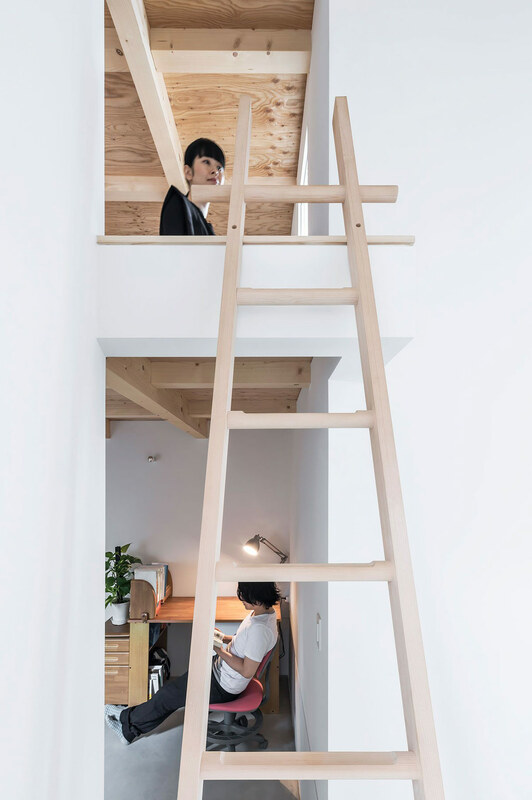 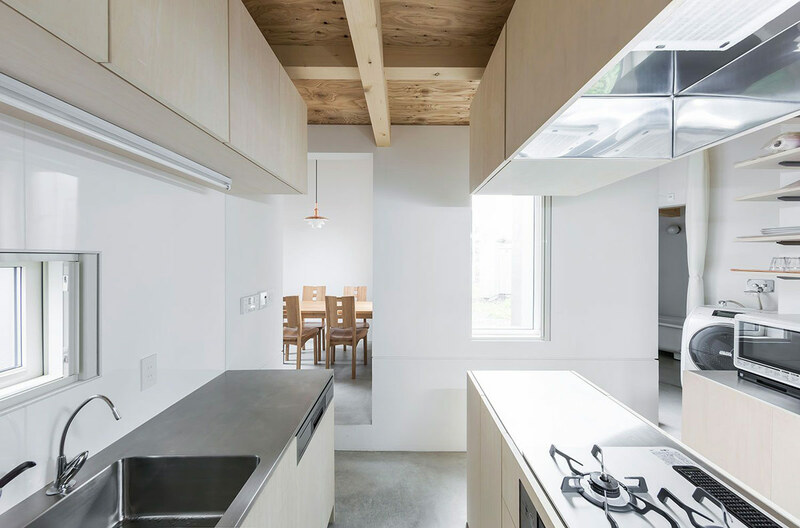 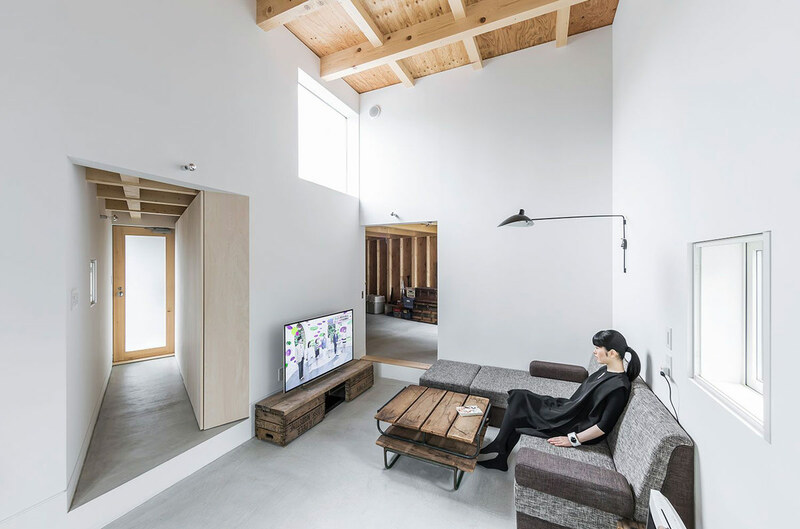 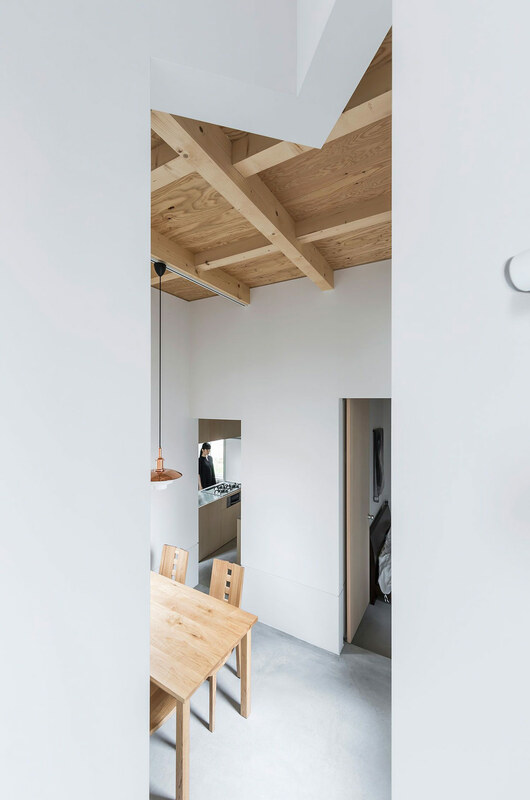 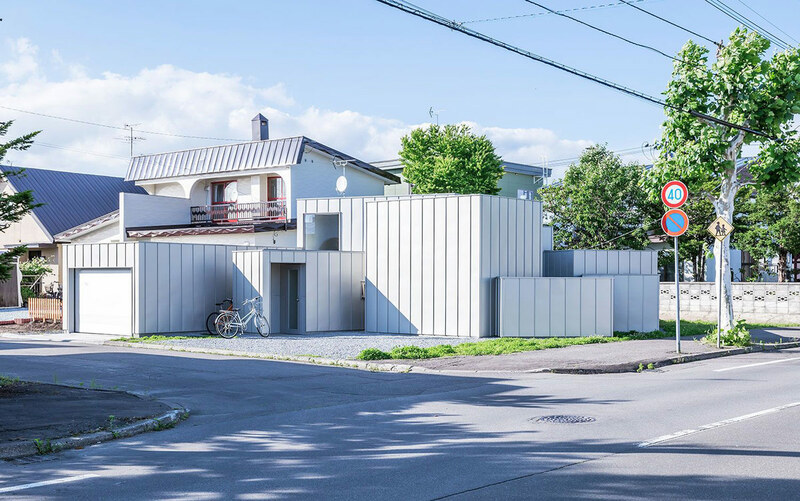 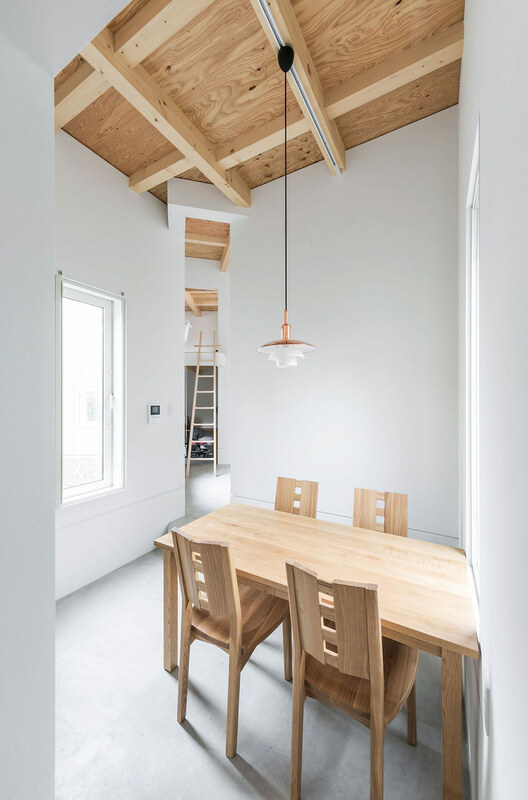 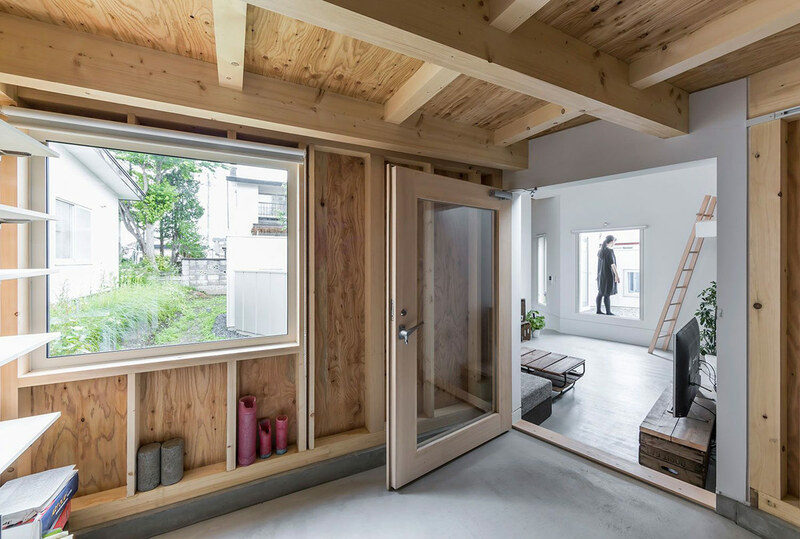 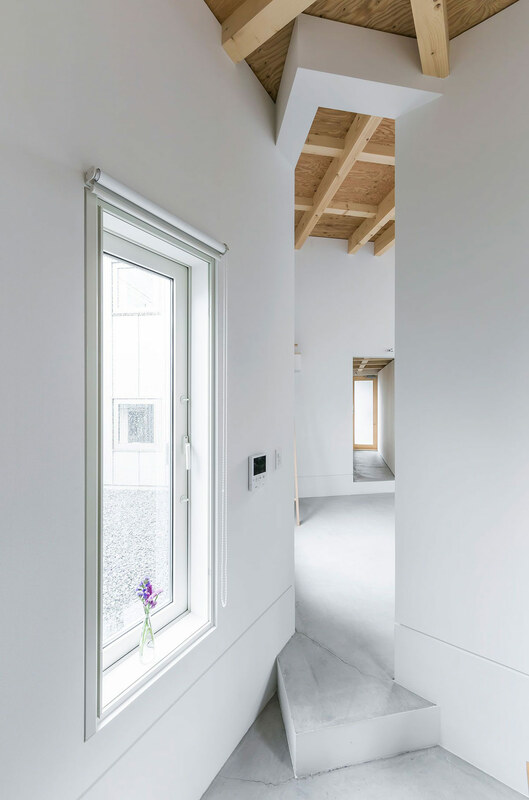 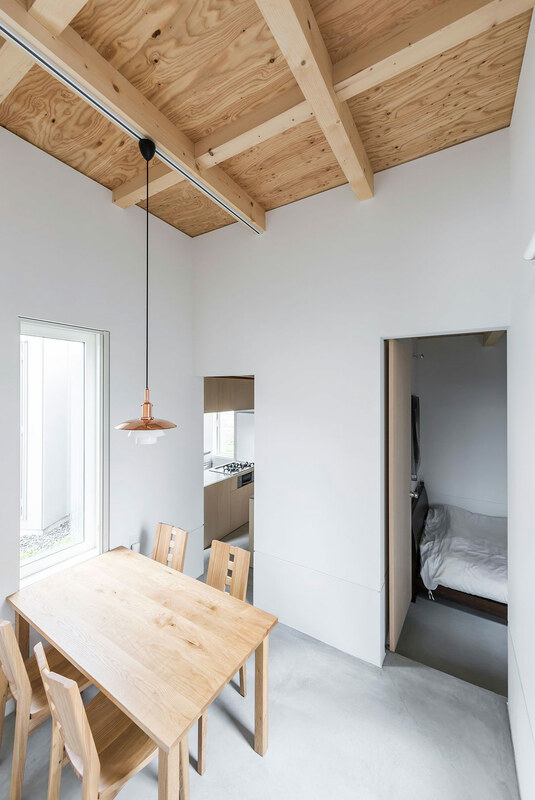 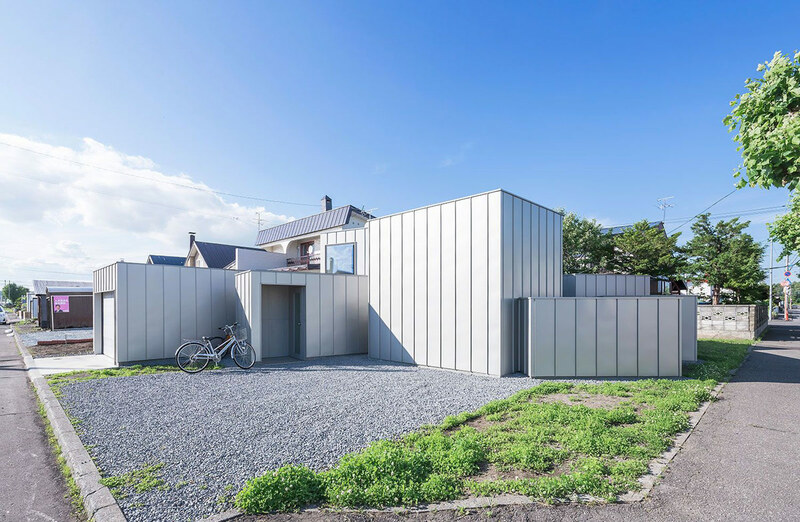 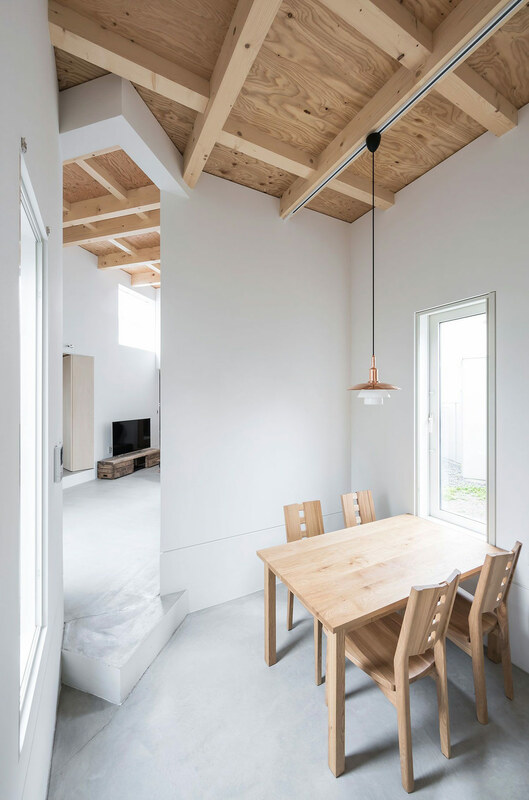 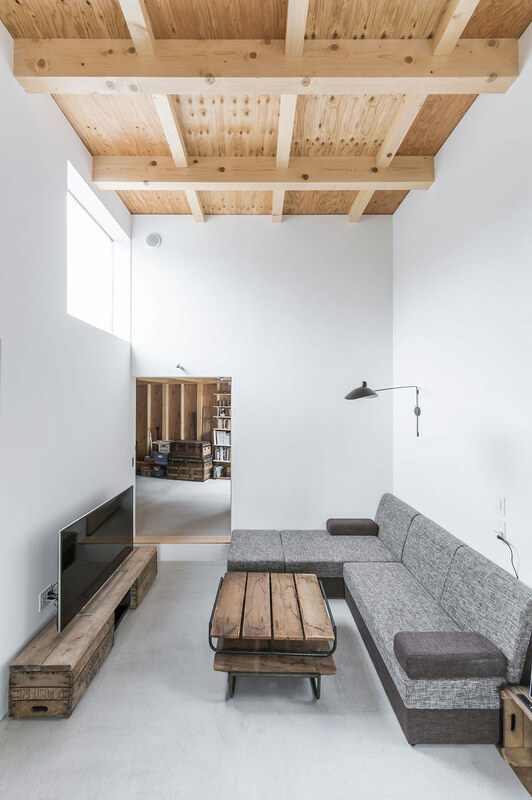 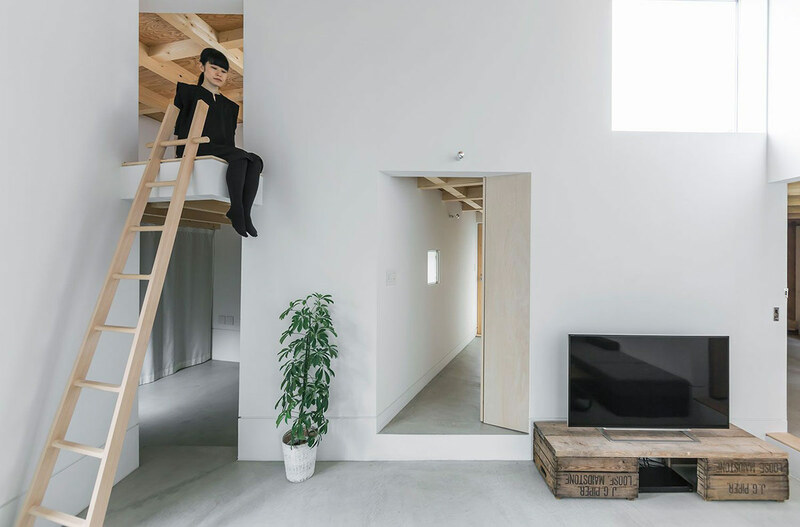 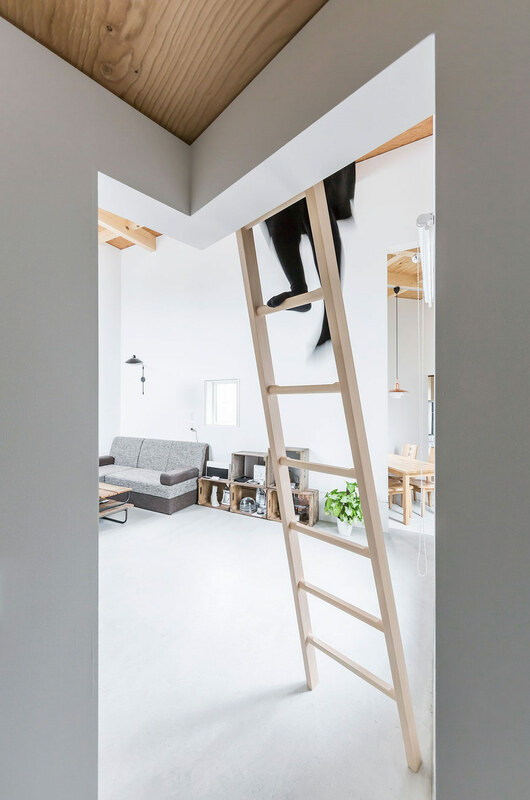 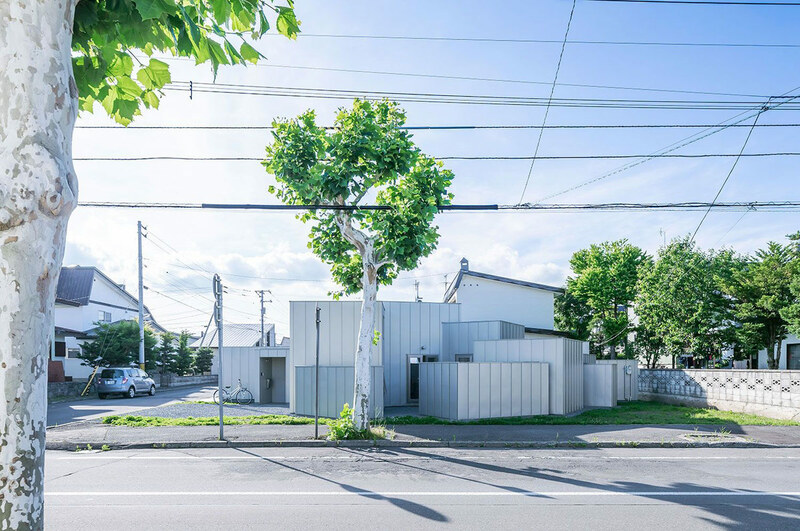 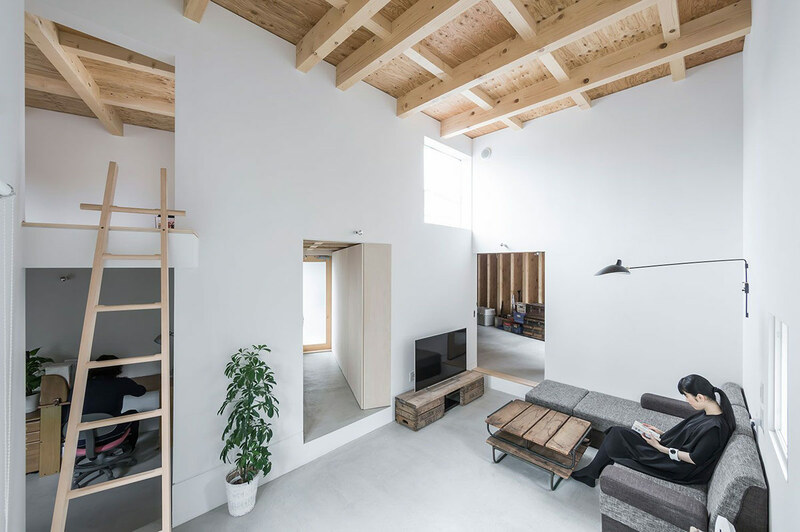 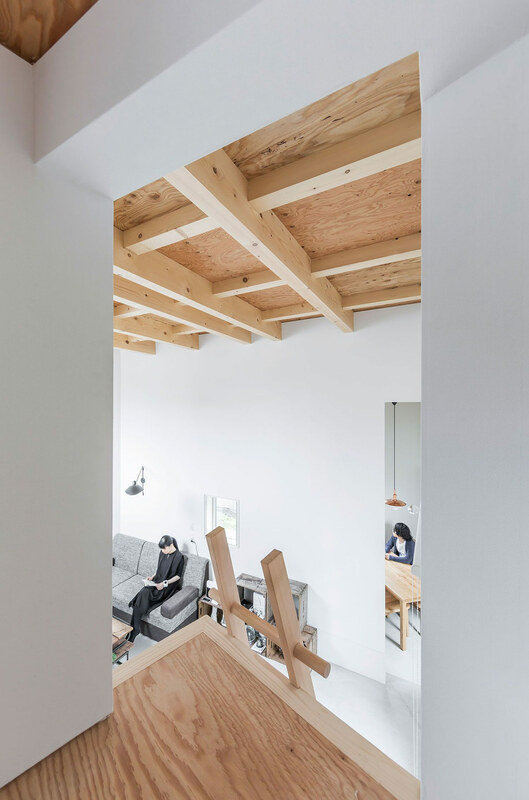 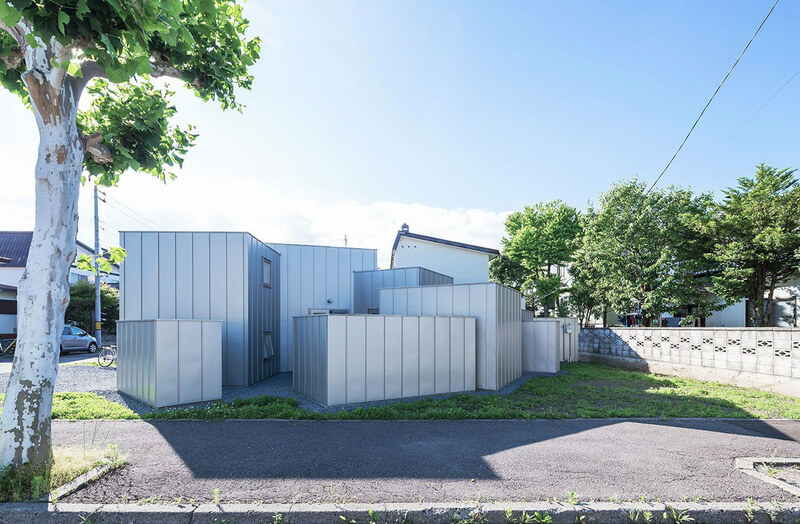 Built in the corner of an old town, House D is a single family house designed by Japanese Architect Jun Igarashi which encourage relationships and continuity between internal and external spaces. 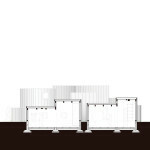 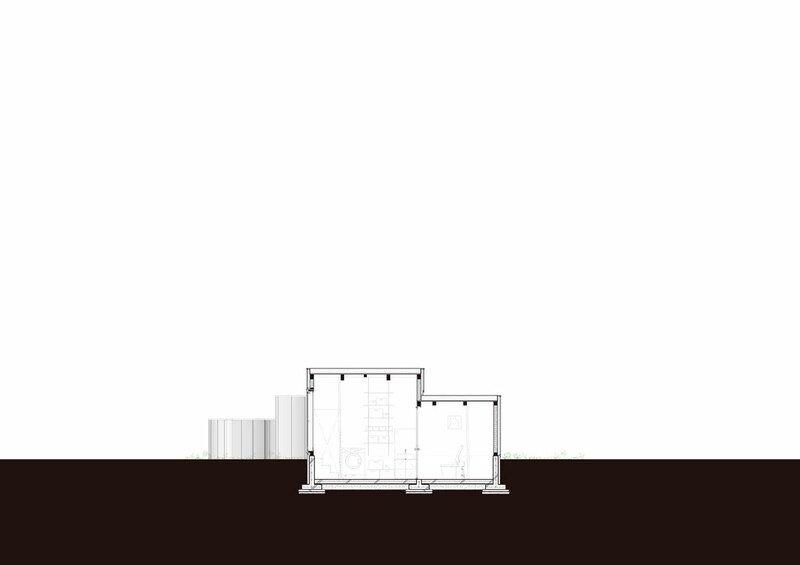 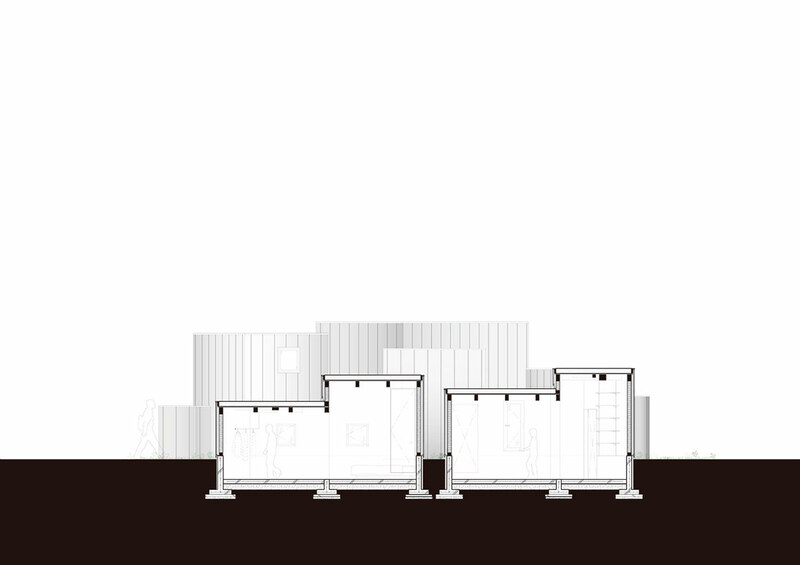 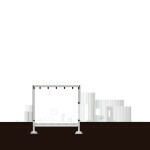 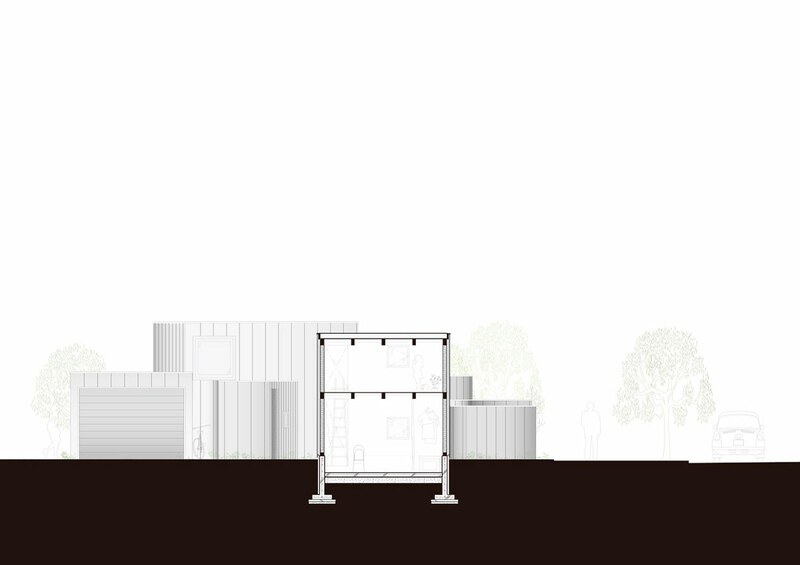 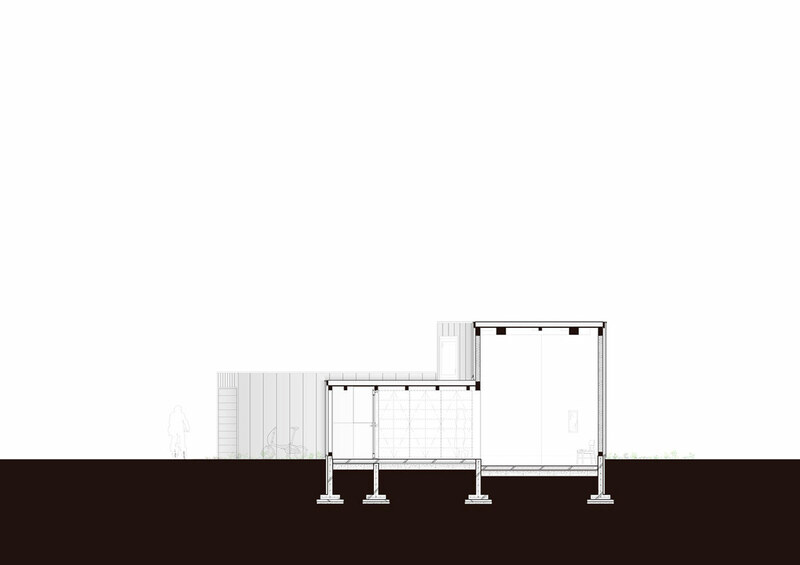 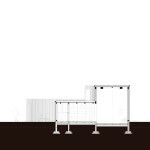 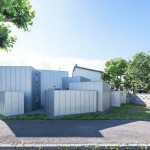 As a result here, the inside it is in the outside, and the outside is inside, they become a state with a more complex relationship with the environment. 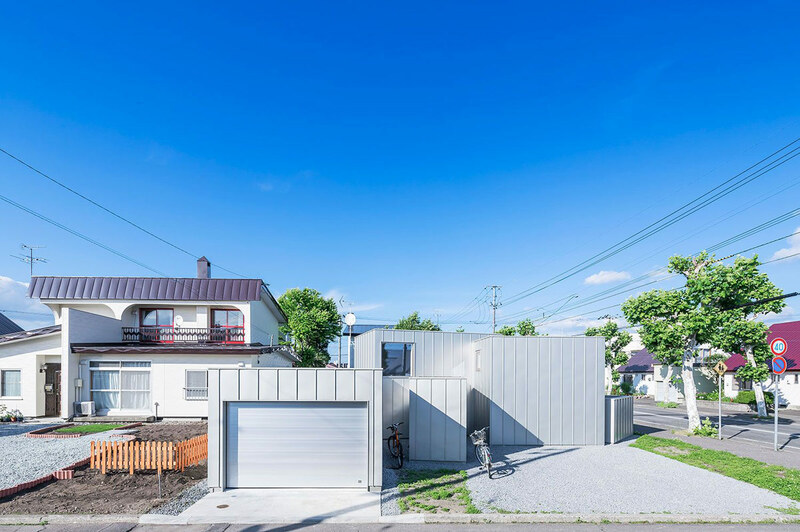 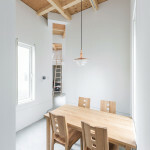 House D is located in a corner of the city‘s old town Asahikawa. 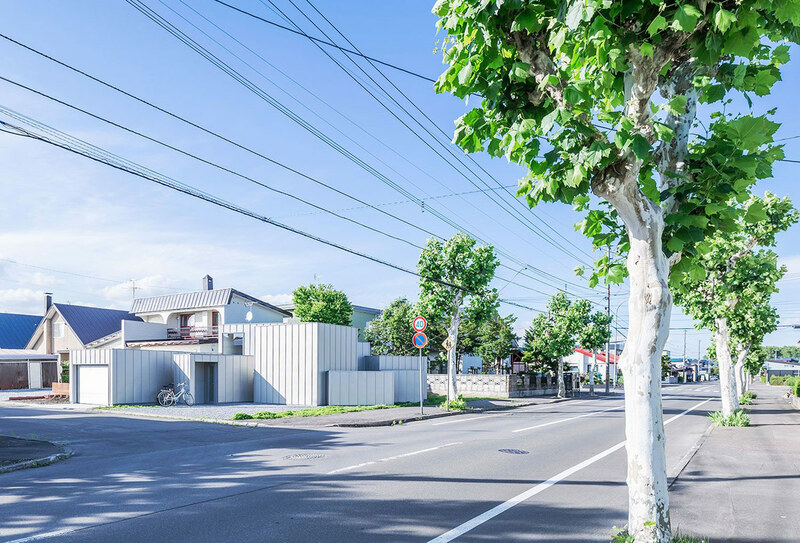 The neighborhood is an old residential area with houses that date from the 1950s to the 1960s but that had a clear vision into the future which advanced metabolism concepts in a variety of forms. 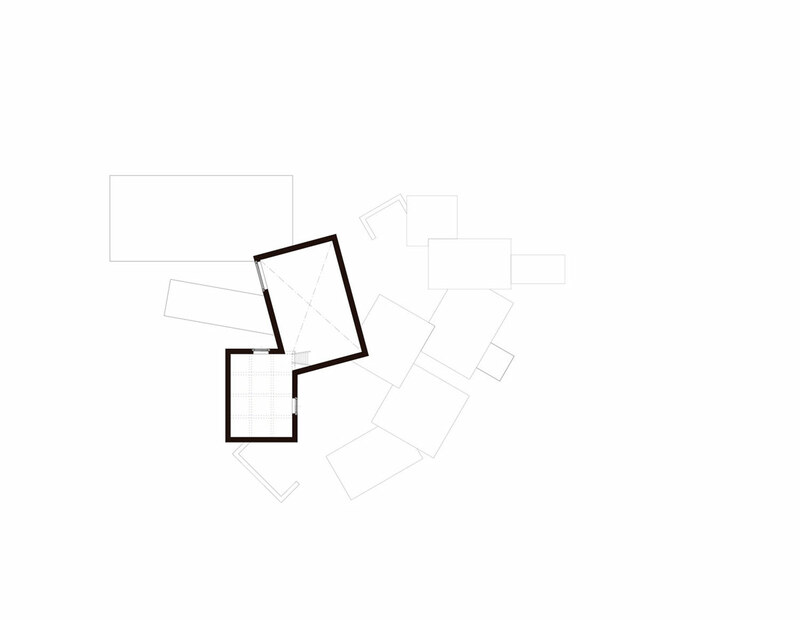 As we begin our studies with the given condition, a rational square plan is constructed with the rooms fitted into the plan. 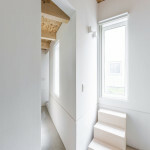 However, we realize that this method creates extra circulation corridors and orients rooms and views in an irrational manner. 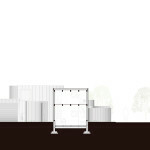 The smallest plan of each program is cut out to be placed in a location and orientation that is favorable. 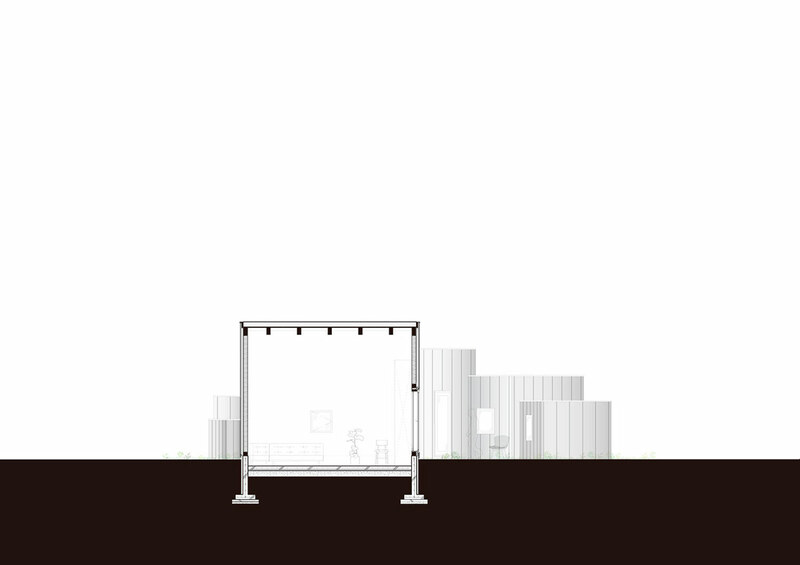 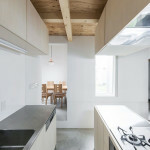 For example, the kitchen is placed in a “selfish” way to look out to the tree garden on the site, and then connected the dinning to the kitchen. 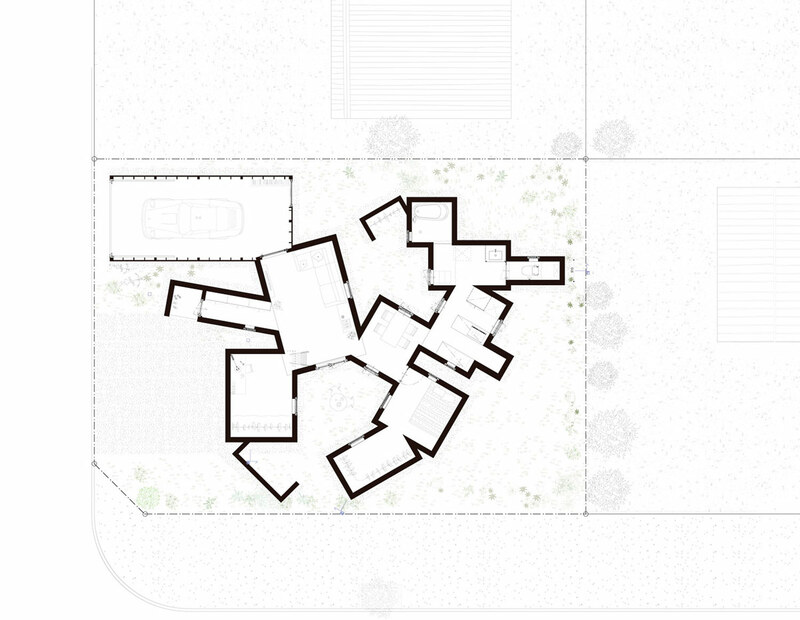 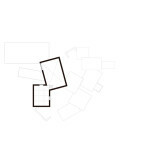 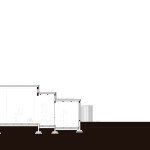 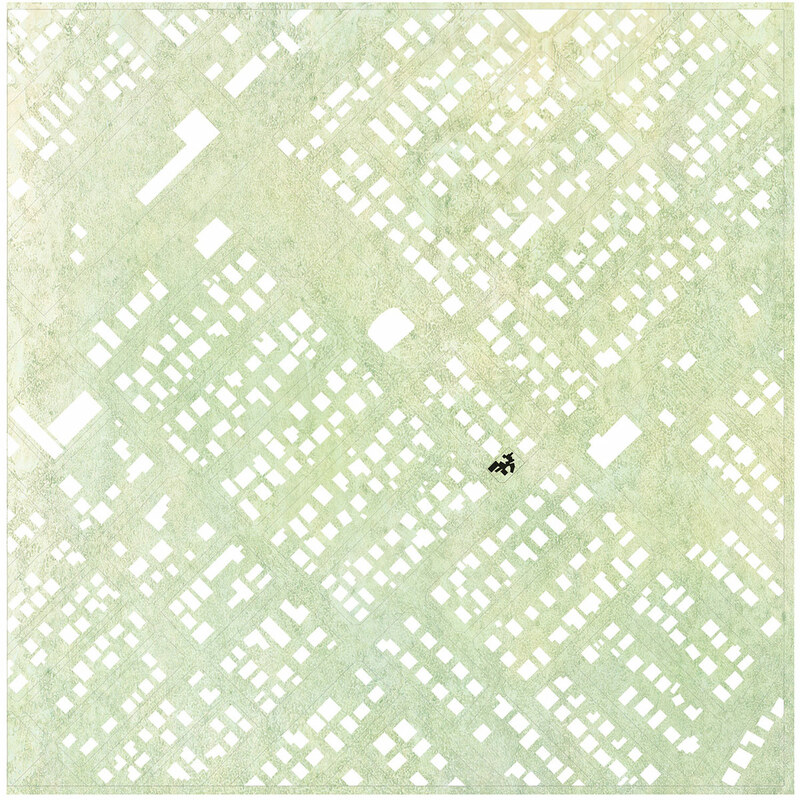 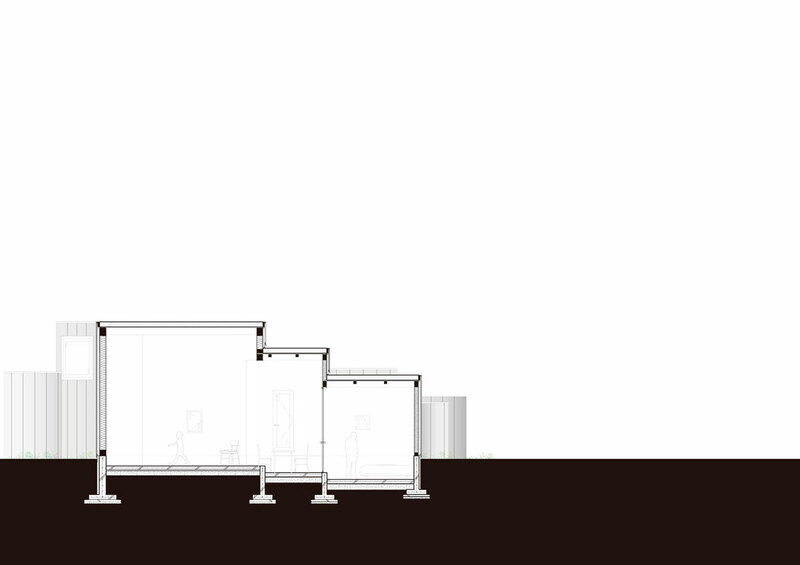 With this method, the extra circulation corridors to connect the spaces and hierarchy due to its location and orientation are omitted. 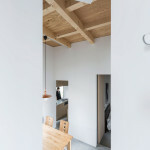 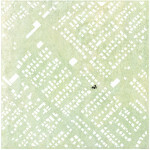 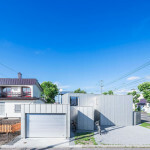 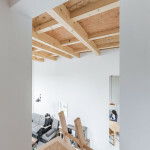 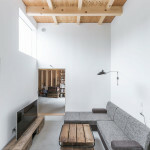 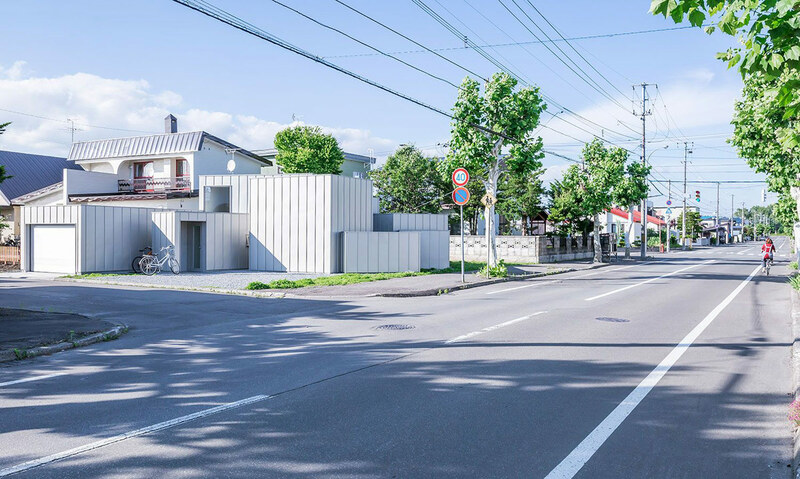 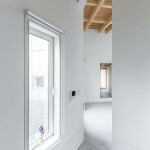 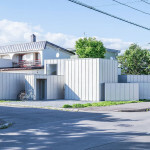 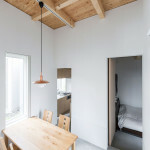 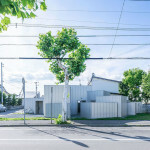 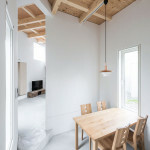 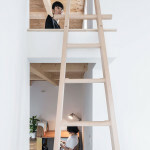 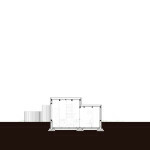 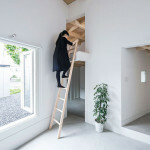 Cite this article: "House D in Asahikawa / Jun Igarashi," in ArchEyes, March 25, 2016, http://archeyes.com/house-d/.